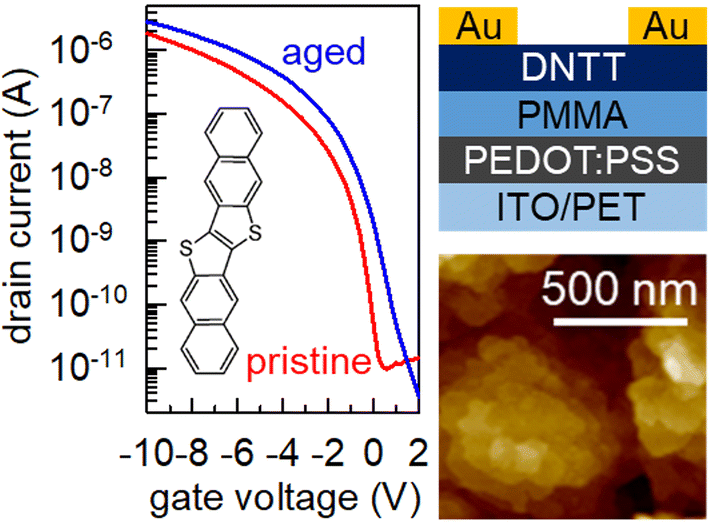 The origin of ideality improvement in aged dinaphtho[2,3-b:2′,3′-f]thieno[3,2-b]thiophene (DNTT) transistors is explored. 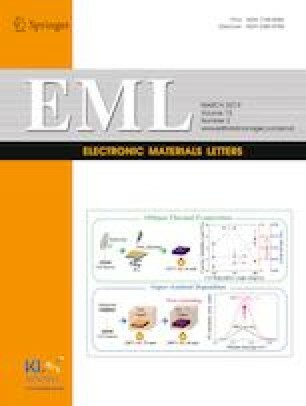 High-performance plastic transistors exhibit nontrivial enhancements under ambient conditions, in the light of emerging parameterization scheme that elucidates the linearity of the transfer curves. Unintentional carrier doping in exceptionally stable DNTT molecules is suggested as the major driver of the recovery of an ideal state of the functional devices, thoroughly investigated by analytical decoupling of the channel and contact potentials as well as numerical finite-element simulation on parametric interplays. This work was supported by the Gachon University research fund of 2018 (GCU-2018-0290).